These two CDs (recorded together in 2013) give a comprehensive account of the compositions for solo voice from that period. Interestingly, the three singers are all from the same extended Bevan family who, collectively and individually, have become prominent fixtures on the vocal scene. The opening of Vol 1 will demonstrate why that is the case, with the exquisite singing Sophie Bevan (pictured) of the little-known Gloria, a work only recently ascribed to Handel, albeit with a degree of doubt. The score and parts survive in London’s Royal Academy of Music and are not in Handel’s hand. It is likely to have been a very early Italian work, dating from around 1707 and was very clearly written for a virtuous singer, whether soprano or castrato. The Gloria segues into the Passacaile from the Overture to Rodrigo and features some wonderful bassoon playing from Zoe Shevlin. I am not sure if the segues throughout both recordings are intended as such, or are just rather short gaps between pieces, but they work well in bringing together the different pieces into an attractively coherent whole. 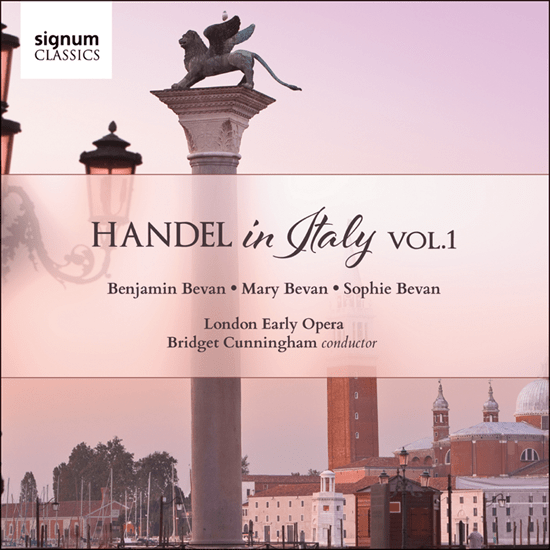 Sophie’s sister, Mary Bevan then contributes two arias, both singing competition favourite, Poopea’s Bel Piacere from Agrippina followed, after a harpsichord solo from Bridget Cunningham, by the virtuosic Un pensioro nemico di pace from Il Trionfa del Tempo e del Disinganno. 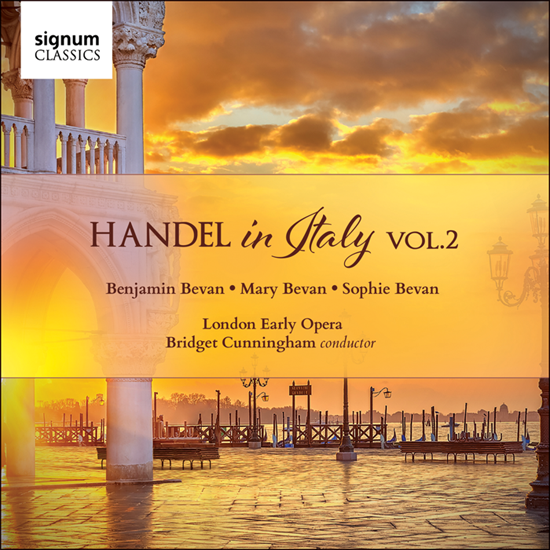 Vol 1 concludes with the Bevan sisters’ uncle, Benjamin Bevan singing the cantata Cuopre tal volt ail cielo. This was written in Naples in 1708, and is set in a storm off the coast, with dramatic depictions of the tempest and a walk-on part for Neptune with his trident which the singer then compares, not entirely favourably, with his erstwhile lover whose ‘glances are flashes struck by horrendous lightning’, ending with a gentle plea for the arch of her brow to become ‘a rainbow of peace’. Vol 2 opens with an instrumental Overture to Agrippina, a link to one of the tracks on Vol 1. There is a lovely oboe solo played by Belinda Paul. After a tiny extract from Nisi Dominus, sung by Benjamin Bevan, Sophie Bevan sings the exquisite aria Tu del Ciel ministro eletto from Il trionfo del Tempo e del Disinganno, before Mary Bevan takes over with the cantata Poichè giuraro Amore. Three harpsichord pieces provide a vocal break before Uncle Benjamin’s dramatic contribution, with the fiery cantata Dalla Guerra amorosa and the boisterous Precipitoso nelmar che freme from Aci, Galatea e Polifemo. The CD concludes with two trios for all three Bevans, the three voices, not surprisingly, blending well together, no doubt due in part to their extensive background of family music making. These are the only trios from Handel’s Italian period, and are fascinating works, demonstrating the technical facility that was to be a hallmark of Handel’s compositions. These two CDs, together and separately, give an excellent insight into one particularly productive and fascinating period of Handel’s composing life. The vocal performances are universally excellent, and are supported by some fine continuo playing by Bridget Cunningham, harpsichord, Jennifer Bullock, cello, and Andrew Maginley, archlute. The full forces of the 19-strong London Early Opera instrumentalists are only heard occasionally but, both together and in smaller groups, they make impressive contributions. Bridget Cunningham’s musical direction and her insightful research in compiling these two recordings, is spot on. Her detailed programmes notes are exemplary, and her harpsichord solos on both volumes are also particularly interesting, both for their choice from the less-explored part of Handel’s keyboard repertoire, and for their spirited and musical playing. As for the singers, it is probably risky for me to try to compare the singing styles of the two Bevan sisters (who I have reviewed separately on many occasions), but they are different. Both are extraordinarily virtuosic, when needed, but also capable of expressing the most tender beauty, with no better demonstration than on the adjacent Tu del Ciel ministro eletto and opening sections of Poichè giuraro Amore sung by Sophie and then Mary. Sophie has a rather greater stability to her voice, using vibrato as an applied ornament, whereas Mary deploys her vibrato more noticeably and consistently – so, for this repertoire, I would marginally favour Sophie’s vocal style. 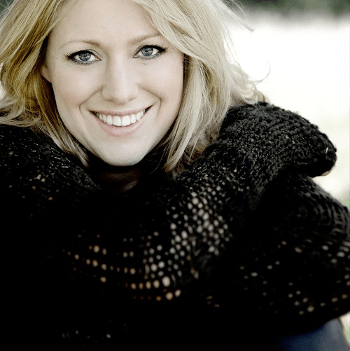 Bridget Cunningham’s London Early Opera have other projects and recordings on the go. I look forward to hearing more from them.